We all deserve a pat on the back for the hard work we do day in and day out - and the perfect time to celebrate all that is on "Everything You Do Is Right Day" on March 16. Your friends have done a lot right through the years - so toast their achievements with an "Everything You Do Is Right Day" party. The star of the party will be the Margaritaville® Tahiti™ Frozen Concoction Maker®, which blends up to 72 ounces of frozen concoctions in three different blending jars. Honor the occasion by mixing up your friends' three favorite frozen concoctions in each jar - piña coladas, margaritas and daiquiris, anyone? You usually spend a lot of time answering to others' demands, but today, it's all about you. Clear out some time in your schedule and devote it to unwinding. A long nap, a bubble bath, an hour with a good book - whatever helps you kick back and relax, spend a little extra time doing it today. Celebrate Everything You Do Is Right Day with your favorite frozen concoctions. It's okay - we all have those cheesy reality TV shows or popcorn flicks that are a true guilty pleasure. For Everything Your Do Is Right Day, indulge in your favorite shows and movies, guilt-free. Sweet and thirst-quenching, a classic Frozen Strawberry Margarita is just the thing for celebrating Everything You Do Is Right Day. Prepare margarita glasses by dipping glass rims in water, then in sugar. Set aside. Add ice to the ice reservoir and all remaining ingredients to the Margaritaville® Frozen Concoction Maker® glass jar. Concoct and pour into prepared glasses. Garnish with strawberries and enjoy. The piña colada is a classic drink for a reason. Enjoy it frozen and be whisked away to a tropical island. To make the drink even more celebratory? Serve it in a hollowed-out pineapple instead of a glass. 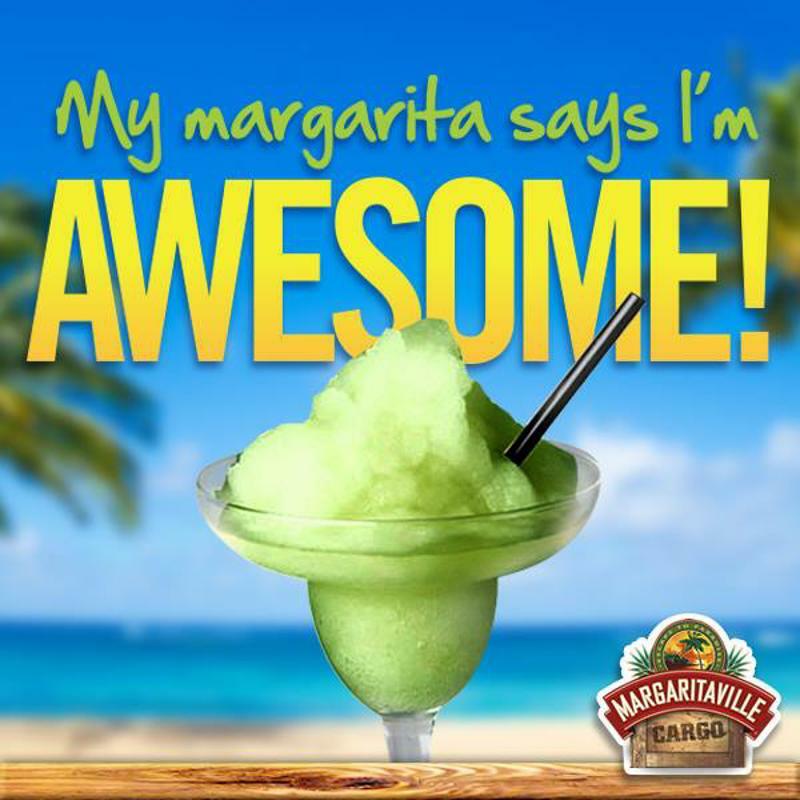 Add ice to the ice reservoir and all remaining ingredients to the Margaritaville® Frozen Concoction Maker® glass jar. Concoct and pour into glasses. Garnish with pineapple slices and mini paper umbrellas and enjoy. Satisfy your sweet tooth with this deliciously chocolatey frozen concoction. Add ice to the ice reservoir and all remaining ingredients to the Margaritaville® Frozen Concoction Maker® glass jar. Concoct and pour into glasses. Garnish with swirls of whipped cream and a sprinkle of chocolate shavings and enjoy.